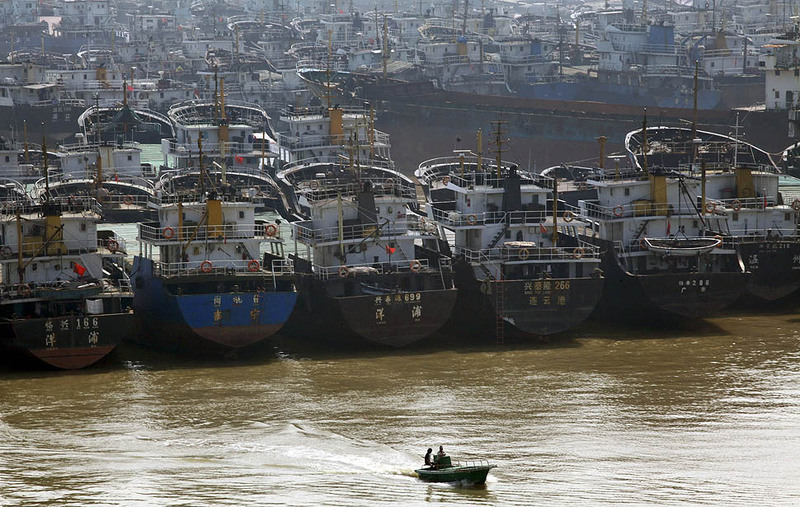 Chinese Subsidies threaten survival of Western and Central Pacific Seafood Industry! According to Michael Field, China is using vast subsidies to threaten the survivability of the fishing industry in the Western and Central Pacific – which includes New Zealand. An international agency has warned that China is using vast subsidies to threaten the survivability of the fishing industry in the Western and Central Pacific – which includes New Zealand. The alarm has been sounded in a briefing paper written for the 17-nation Forum Fisheries Agency (FFA), which says that unless something is done at a high level, non-Chinese fishing operations are in trouble. The paper, presented at a meeting this week at the FFA headquarters in Honiara, Solomon Islands, said there is deep concern about growth in the Chinese fleet and the high level of subsidies Beijing gives its deepwater fishing boats. “It is the official Chinese government policy to assist in the growth, expansion and modernisation of its (deep water fleet) DWF fleets and to use subsidies and incentives to achieve this aim,” the paper said. The extent and magnitude of the subsidies was significant and likely to provide the Chinese DWF with significant cost advantage over unsubsidised fleets. Chinese spending on its fleet is growing with new tax incentives being introduced. The subsidies make all other nations’ fleets economically unviable due to their cost disadvantage. The Chinese are increasing catch levels and forcing down the allowable catch rates of other nations, the paper warned. It said China plans to increase its DWF to 2300 vessels by the end of 2015. It has a large array of subsidies including tax breaks to fishing companies, direct subsidies on fish caught, fuel offsets and favourable loan rates. Even provincial governments in China pay the access fees Chinese boats have to pay to fish in the South Pacific. Environment organisation Greenpeace says the subsidies threaten Pacific tuna boat operators in particular. “These subsidies fuel the plunder of South Pacific albacore and are now leading to localised depletions and declines in catch rates across the fishery, jeopardising the livelihoods of locally owned small-scale tuna boat operators in Pacific Island countries,” said Greenpeace Australia Pacific oceans campaigner, Duncan Williams. This entry was posted in Albacore, Albacore Tuna, Big Eye, Bluefin, Bluefin Tuna, China, Corporate Responsibility, Development Aspirations, DWFNs, eNGOs, Export, FFA, Fisheries Development, Food Security, Forum Fisheries Agency, High Seas, International Organisations, International Relations, Pacfic Islands, Pacific Island, PICs, Seafood, Seafood Industry, Skipjack, Tuna, Tuna, WCPFC, Yellow fin, Yellowfin and tagged China, Chinese Deepwater Fleet, Chinese distant water fleet, Dominion Post, Duncan Williams, FFA, Fisheries Subsidies, Forum Fisheries Agency, Greenpeace, Honiara, Michael Field, New Zealand, Pacific Ocean, Subsidies, tax incentives, WCPFC. Bookmark the permalink. ← Fisheries Management: A significant decrease in F is turning into a significant increase in fishstock biomass!